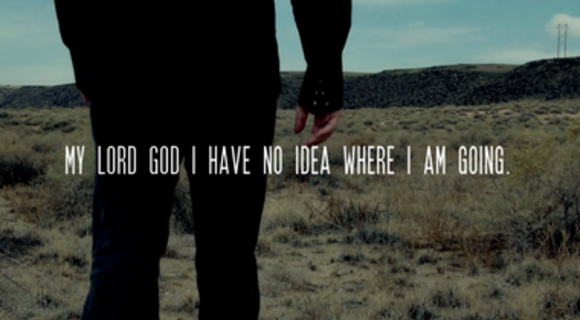 MY LORD GOD, I have no idea where I am going. I do not see the road ahead of me. I cannot know for certain where it will end. Nor do I really know myself, and the fact that I think I am following your will does not mean that I am actually doing so. But I believe that the desire to please you does in fact please you. And I hope I have that desire in all that I am doing. I hope that I will never do anything apart from that desire. And I know that if I do this you will lead me by the right road, though I may know nothing about it. Therefore I will trust you always though I may seem to be lost and in the shadow of death. I will not fear, for you are ever with me, and you will never leave me to face my perils alone. Father Greg Boyle on why death has no power. The LORD is my shepherd...Surely goodness and mercy shall follow me all the days of my life? A prayer by Teresa of Avila.